Getting your ACLS accreditation requires taking a multi-day class and passing both a written and a hands-on test in most cases. This is done to assure the instructors that you have the knowledge it takes to quickly respond to life-threatening emergencies and even to lead others around you in life-saving techniques. However, if you have not done well with college classes or tests in the past, you may be wondering how easy it will be to learn the information in your ACLS class. 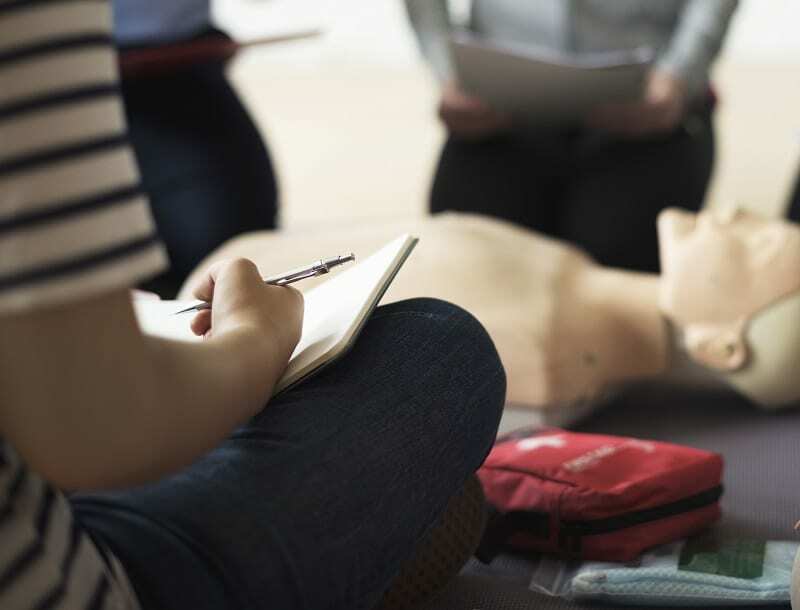 You’ll be glad to know that every ACLS class is geared for a variety of types of learners. Research over the years has shown that there are four clear types of learners. If you are like most people, you’ll find that you learn best in one way although two or more ways may work for you. The four learning types include visual, auditory, reading and kinesthetic. By understanding more about yourself, you’ll get the best results from your ACLS class. Visual learners learn best when they can see the information that they are learning preferably by using pictures, charts or graphs. When they can see information this way rather than having to picture it with their mind’s eye as they read the information, they can more easily assimilate it. If you are a visual learner, you should study diagrams and algorithms in your ACLS materials. You may also do well with taking notes in visual patterns rather than writing in outlines. You will do best during the video portions of the ACLS teaching. Auditory learners obviously learn best through the spoken word. Lectures are ideal. Class discussions work well even if the information is not yet fully formed in people’s minds. As an auditory learner taking ACLS instruction, you should focus on the lecture portions of the class. You should also take plenty of time to ask questions of your instructors and chat with your classmates over portions of the class that may be confusing to you. You will also benefit from discussion times after simulations. Those who learn from reading work best with words. They find it easiest and quickest to learn new material from written notes or from a textbook. They also do well with making reports and taking their own written notes. During ACLS classes, you should pay special attention to your textbook. Rather than studying diagrams of algorithms, you should focus more on the instruction in paragraph form. You will also do well with written feedback. Finally, kinesthetic learners are those who learn best from doing and touching things. They should have plenty of time for hands-on activities or should be able to take their personal experiences and bring them into their learning environments. In ACLS instruction, the simulation parts of each class will be most helpful if you are this type of learner. You should get as much hands-on practice with the drugs and mannequins as possible and should opt for performing simulations rather than only describing them. Once you know how you learn, you can tailor your learning experiences and your study habits to meet your unique needs. You should also feel free to share this information with your instructors so that they can best help you. The best teachers are those who mold their classes to meet all learning styles, and this should be what you find in your own ACLS instructional class. You should be aware of a couple major things as you begin your ACLS certification course. First, be sure to focus particularly on the instruction that is given in your learning style whether that is a video, hands-on demonstrations, instructional booklets or teacher explanations. Second, be aware that even though you most benefit from one particular learning type you can still benefit from all of them. Therefore, take all parts of your class into account because each step, each question, each video and each simulation will help you pass your test and feel prepared to care for your own patients.